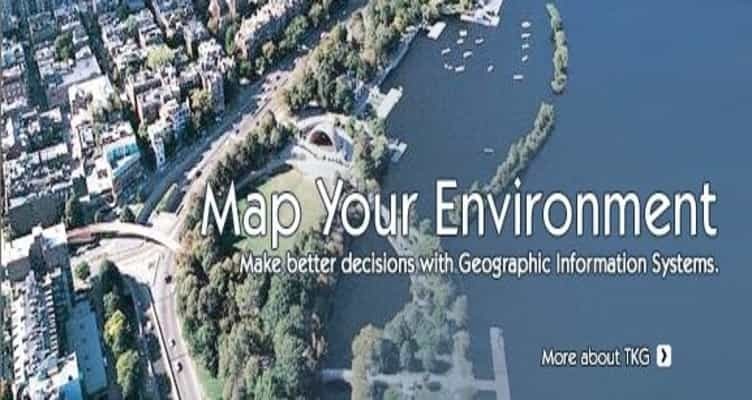 Welcome to The Kenerson Group! 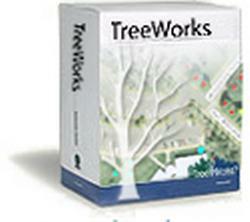 TreeWorks TM tree management software was developed by a partnership of GIS experts and consulting arborists. 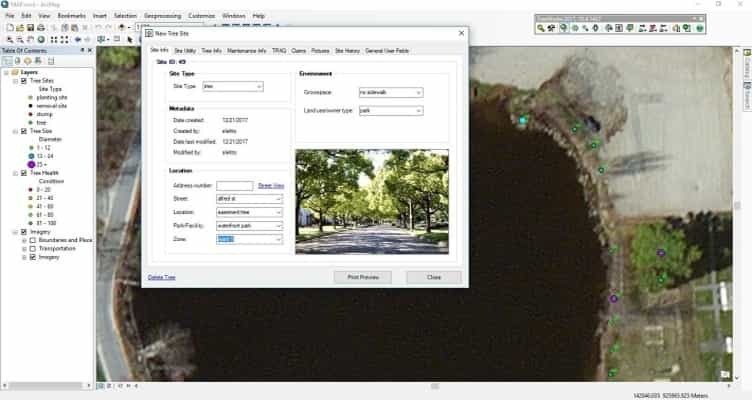 The software runs as an extension to ESRI's ArcGIS™, ArcPad™, and ArcGIS™ Online platforms. 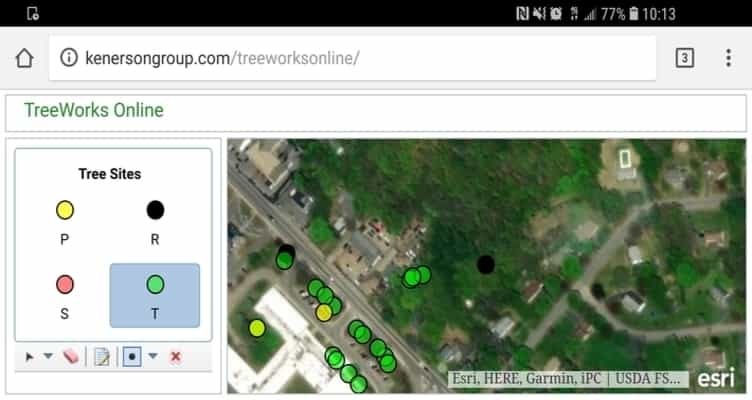 TreeWorks' mobile component can run on any device. 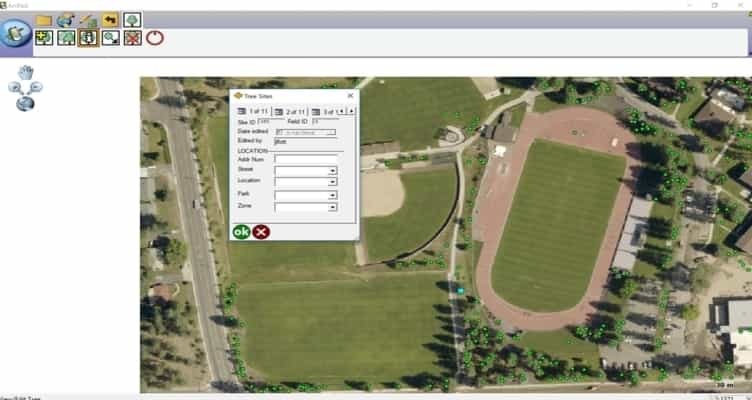 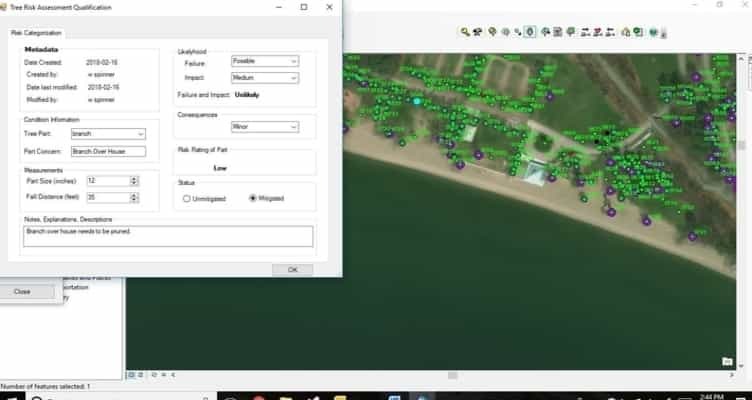 You can collect data with traditional windows-based devices with ArcPad or edit your tree inventory on-the-fly with your Android or Apple phone or tablet with ArcGIS Online.